contact Ms. Pauline Graham at: (901)327-9299 to purchase. Mr. Terry Fluker is requesting a response from alumni that are interested in playing vollyball and or softball! GALA Photos! A Must See!! (CFN-May 2010) - After waiting 29 years for the very next class of Douglass High to walk down the aisle was not without its problems. The 2010 Douglass High graduates were excited as ever to complete their high school education. Many of these young minds will go on to higher educational institutions along with some help from their local DAA (Douglass Alumni Association) members. The DAA, which is the original Douglass alumni and now under the leadership of President John Bernard. Bernard comes to the alumni with international organizational and executive experience and has compiled a team of excellent leaders. They only need the support of the entire alumni to reach its maximum potential growth. Their mission is to serve the students of Douglass High over all others first. While the NDAC, often called the National (National Douglass Alumni Corporation) brings a national presence to the Douglass alumni, their antiquated system of leadership and operations have left them lagging in building Douglass chapters across the nation where so many Douglass alumni reside and has been at the center of controversy within the alumni. Some within DAA has gone as far as to say that the NDAC is limiting growth and advancement within the organization. While the DAA mission statement wants to keep the bulk of its monies here in Memphis, the NDAC wants to provide scholarships in “Douglass Communities” wherever they may exist. Without having any requirements of its recipients to have been a Douglass grad or an alumni member. It has been stated that this is totally unacceptable to DAA. The tale of two Douglass alumni organizations. Both raising dollars under the Douglass name while only one has a true vested interest in the High School here in Memphis. The DAA, under the leadership of John Bernard, has brought about changes to its structure, its operations, policies, and is working feverishly attempting to bring in new members. With much work to do, John Bernard and his team of dedicated professionals has a wide range of different skills quite capable of consolidating these two organizations and forming an organization that can represent all of Douglass wherever they may be. This does not seem to be possible under the current NDAC’s organizational structure, leadership or it’s mission. Buzz concerning the NDAC is that impeachment proceedings are imminent for the current NDAC President Richard Bowden, and dissolution of the NDAC is to follow so that Douglass can become whole again. This is highly possible and is recommended within both organizations. A reunification would make Douglass bigger, stronger, and run more efficiently. The break up of the organization came about when the NDAC (National) split in 1985, four years after the last class of Douglass graduated. Many agree that since the creation of the NDAC it has operated mainly as a social organization having no high school and no home students to give its scholarship dollars. The original focus no longer remained (Douglass High School) and now data indicates that the NDAC has no plans to change the manner in which it has been operating for some 20+ years. 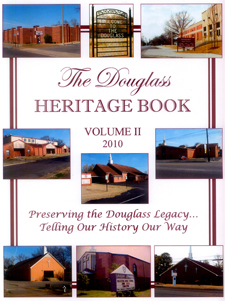 Both organizations raise monies under the Douglass name. Sometimes benefiting the same group of students at Douglass High School. Although the NDAC has an entirely different group of students made up of alumni members siblings, nephews, nieces, and grandchildren etc., they in the past received scholarship dollars without being required to become members or ever having to have been a Douglass graduate. Now that the new Douglass High School is in place, this is no longer acceptable to many DAA members. They want their hard-earned fundraising dollars to benefit our local Douglass students. 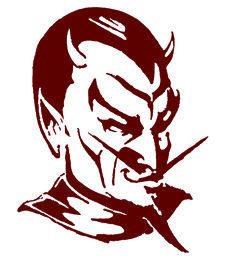 The NDAC, Douglass’ National Alumni Corporation only meets once a year and is said to have become out of touch with the true needs of Douglass High School. With daily operations now ended for the 2009-2010 school year, the DAA will continue its monthly meetings, and it is reported that they will be working tirelessly to bring full support back to the students at Douglass High School in Memphis.